Jewel will officially be open to Singapore residents and worldwide travellers starting 17 April 2019. Jewel is home to around 280 stores, restaurants, a supermarket, a cinema, a hotel and other recreational facilities. Hung Jean, chief executive officer of Jewel Changi Airport Development Pte. There are also early check-in counters and kiosks, and a VIP lounge for travelers. 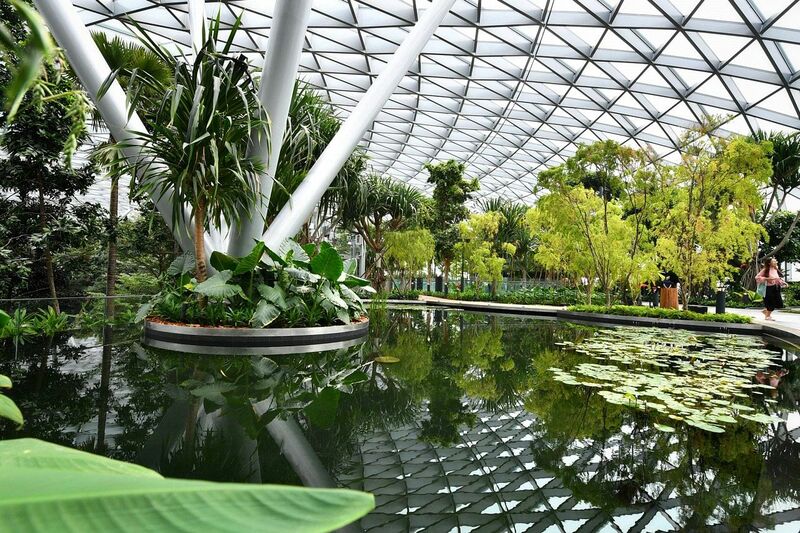 The 137,000-square-metre complex designed by world-renowned architect Moshe Safdie features a distinctive dome-shaped facade and will provide both worldwide visitors and Singapore locals an incredible offering of unique experiences. Features include a 24-hour gym, and the two-level Komyuniti social hub, which offers co-working and dining space, and overlooks Rain Vortex, the world's tallest indoor waterfall. There is also the Canopy Park at the top floor and visitors can try walking in the 165-foot sky bridge, mirror and hedge mazes, a giant slide and walking nets. It is surrounded by manicured grounds of the Shiseido Forest Valley.